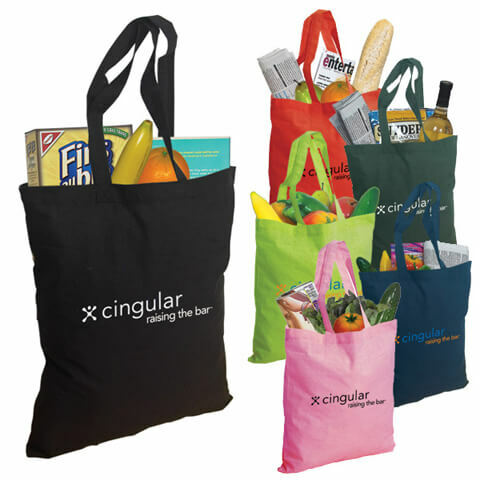 These eco-friendly 6oz cotton-canvas Tote Bags are washable, reusable and useful for anything from grocery shopping to holding your promotional items to give away during your campaigns. We print these tote bags in full color on both sides and offer a huge print area of 9 x 13. Our Totes include dual self-fabric straps for convenient over-the-shoulder carry. With low minimums, you can upload various custom images conveniently.